The chest is crucial for a full, proportional physique, and is a big contributor to the “buff” look. Not only that, having a big, strong chest is crucial for strength training as it is largely used in many pressing movements. Today I will be creating a top 3 chest exercises post, giving my top three picks, including why I picked them, how they are beneficial within your training, and how you can implement them into your training. Let’s talk about my personal number one chest exercise! Kicking off our list, we have the classic bench press. A very popular movement, that many say is the king of chest exercises. A compound pressing movement that can be trained heavy, and in a multitude of ways. Also, a foundational exercise that is capable of laying the base of our routines for numerous goals. Seeing as this is a compound movement, which uses multiple muscles like the chest, shoulders and triceps, we can load this exercise up quite heavy and easily apply progressive overload. This progressive overload can be tailored toward goals such as strength, hypertrophy, and power training. With this exercise having lots of room for variation, you have multiple ways you can implement it relative to your goals. 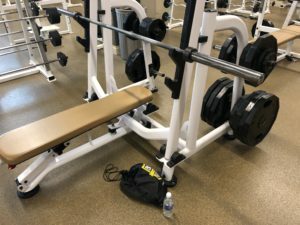 I find using the bench press as my primary exercise allows for a smooth transition into other exercises to target different aspects of my goal/training routine. When it comes to implementing the bench press, I would suggest using it as your primary movement the majority of the time, and apply progressive overload to it. How heavy you train it depends on your goals, heavier in the 1-6 rep range for strength and 8-12 rep range for hypertrophy with according weights is a rough guideline. This will allow you to train more specifically to your goal, while still training heavy overall as that is a major benefit to the bench press. Going into the 15+ rep range isn’t typically something I would suggest as this isn’t generally where it shines/is most effective. Moving on to number two on our list, we have the dumbbell bench press. A unilateral exercise, that can be loaded fairly heavy and trained throughout a variety of rep ranges. There are also different variations you can do with this exercise making it quite versatile. Seeing as you can load this exercise up and easily apply progressive overload, this could be a primary exercise. Since it is a unilateral exercise, this can be great for targeting muscle imbalances and creating a high demand for stability. Another benefit of this exercise is being able to perform it on a flat bench or an incline, allowing you to focus on different parts of the chest. Lastly, I find when performing the dumbbell bench press, I can more effectively target and feel my chest working. I feel this can be attributed to the increased range of motion because of the nature of the exercise, which allows for a better stretch and contraction. When it comes to implementing this movement into your routine, there are a couple of ways to go about it. Including it as a primary exercise, or using it as a main/primary exercise but perform it second to compliment a lift like the bench press. If you were to use it as a primary movement, the loading and rep scheme would look similar to the bench press. If you were to use it as a secondary, but still a main movement, consider using it to focus on different training aspects. For me, if I am strength training, I will use it to either add a stability component and train it quite heavy, or train it to get a power focused benefit. From a hypertrophy standpoint, maybe you want to slow the movement down so you can really feel your chest working. Or perform it on an incline to focus on your upper chest. These are a few guidelines/suggestions to give some examples and an idea as to how this exercise can be incorporated into your routine. This exercise is definitely not one that would typically be used as a main/primary movement, however, if done correctly it will light your chest up. Seeing as this is an isolation exercise it is tough to apply progressive overload with weight, however, adding reps can be done somewhat easily. This can be quite beneficial for increasing volume. You can also perform this exercise in a few different ways, which is beneficial for training variation, and allows you to see what works for you. Since this exercise allows you to induce a full stretch and contraction, I would say that is the main reason its great for really targeting the chest. You can perform this exercise with multiple lines of resistance which allows you to target different parts of your chest. Also, you can do it seated or standing, or change your grip for variation/preference. Lastly, if you really want to feel a contraction, you can cross your hands at the end of the movement, which will induce a full contraction with resistance. When it comes to implementing this exercise into your routine there are a couple of ways to do so. It wouldn’t be a main strength training movement. Maybe one to perform near the end of your workout for direct chest work. I would suggest doing this exercise in the moderate-high rep range with according weights. If hypertrophy isn’t your main focus, but you would like some work with it, consider using supersets. Onto where this exercise shines, hypertrophy! Seeing as you can effectively target the chest, and easily incorporate volume, this makes the cable fly an awesome hypertrophy exercise. I wouldn’t typically do this as a primary movement as it is tough to apply progressive overload to and train heavy. I usually incorporate this exercise towards the end of my workouts to finish off my chest, sometimes as a superset. I typically work in the 10-15 rep range which helps with getting in volume. One method which uses this exercise at the beginning of your workout would be a pre exhaustive training style. Performing 3 sets close to, or to failure, then doing a compound movement like the bench press or dumbbell bench press. This allows you to feel your chest working and really target it more on these movements because your chest would give out before other muscle groups like the triceps and shoulders. After reading this article, you learned three chest exercises that you can incorporate into your routine. You also know why they are good exercises, how they are beneficial, and how they can be implemented within your routine. Also, you have exercises that can fill different positions within a workout. I thank you all for reading this article, good luck with your next chest training session and consider using some of these training tips! As always, if you have any questions or comments please do not hesitate to leave them below and I will be sure to reply! Great post. I agree with you that the compound movements are definitely the best exercises for the chest. I always think that Bench Press, Squat, Deadlift and Overhead Press are the 4 main lifts for strength and power. Whilst I know some other exercises help, nothing has the effect of these. 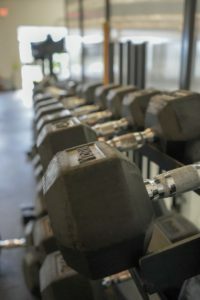 I like the fact that you mention the dumbbell press as well as I agree this has a different effect with the stabilising muscles coming into play. Would love to see some videos of the exercises too. Hi Mark, I agree, compound movements like the ones you mentioned should definitely be a big part of/the foundation of a routine. Thanks for reading! These chest exercises are really awesome additions to anyone’s workout routine! Thanks for highlighting them so thoroughly. I love that you included the cable fly as I for one have seen great benefit from incorporating this exercise into my own program. It really does light your chest up! I do have a question about the two bench press exercises. If you don’t attend a gym and don’t have a bench at home, will doing weighted pushups work the same muscles in the same way? Hi Steve, no problem! I agree, the cable flys get a huge pump going! Push-Ups will be able to work your chest similar to a bench press. You may find it difficult to target/work your chest with them though when comparing to a bench press. The other limitation is you can’t apply progressive overload as easily/as well as the bench press, even with weighted push-ups. With that being said, push-ups are still a great exercise, especially if you continually make them more challenging! Thank you for sharing ¨Top 3 Chest Exercises-Better Your Chest Workout!¨ I can see very clearly that these are the best exercises for a proportional physiche. But I want to get something more in terms of emotional well-being.Michel Otto PhD, a professor of psychology at Boston University says ¨exercise is something that psychologists have been very slow to attend. People know that exercise helps physical outcomes. There is much less awareness of mental health outcomes¨I´m undecided about which type of exercise is most helpful for mood enhancement. Most studies have focused on aerobic exercise, though some research suggests weight training might be more effective. What has been your experience in this regard? Hi there, no problem! As far as the emotional/mental health and mood side of exercising goes, I don’t know much about it. For me personally, I enjoy lifting weights over cardio by far, mentally and physically. Likely because I really just do not like cardio (running/jogging is mainly what I have experience with), and love lifting weights and training in that form.